If this one has any fault at all, it is that the gags and subtle innuendos come at you so fast and furiously that it is impossible to take them all in at one viewing. There are so many lines of dialogue, snippets of music, and optical clips that have been lifted from other well-known movies that it would take up too much space to even start list them here. Even the well-known Superman and Batman themes don’t escape the filmmakers’ diabolical attention…while the recurring appearance of the slugs’ musical chorus has to be heard to be believed! Roddy St James (Hugh Jackman) is an “upper-crust rat” whose idyllic existence in his posh Kensington flat is ruined by the arrival of a common sewer rat named Sid (Shane Ritchie). In a botched attempt to get rid of Sid, Roddy accidentally flushes himself down the toilet bowl…to find himself in Ratropolis. Here he meets cute scavenger sewer rat Rita Malone (Kate Winslet)…before falling foul of an evil crime syndicate run by “The Toad” (Ian McKellen) and his hench-rats! Roddy is a decidedly upper-crust "society mouse" who lives the life of a beloved pet in a posh Kensington flat. 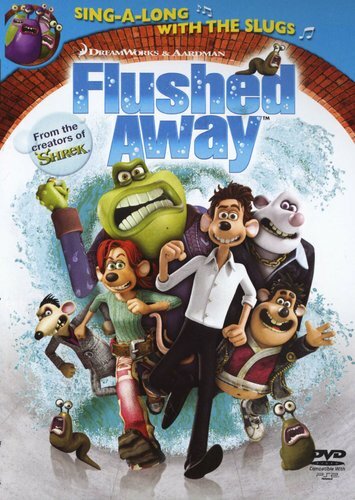 When a sewer rat named Sid comes spewing out of the sink and decides he's hit the jackpot, Roddy schemes to rid himself of the pest by luring him into the "whirlpool." 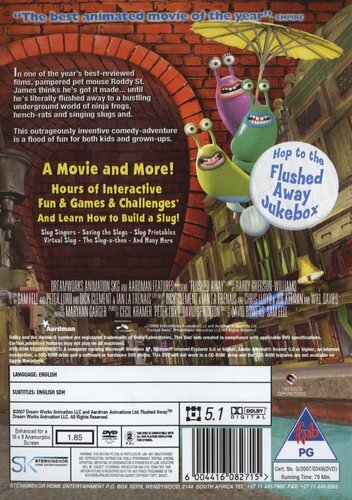 Sid may be an ignorant slob, but he's no fool, so it is Roddy who winds up being flushed away into the bustling sewer world of Ratropolis. There Roddy meets Rita, an enterprising scavenger who works the sewers in her faithful boat, the Jammy Dodger. Roddy immediately wants out, or rather, up; Rita wants to be paid for her trouble; and, speaking of trouble, the villainous Toad--who royally despises all rodents equally, making no distinction between mice and rats--wants them iced ... literally. The Toad dispatches his two hapless hench-rats, Spike and Whitey, to get the job done. When they fail, the Toad has no choice but to send to France for his cousin--that dreaded mercenary, Le Frog. A host of slug-related goodies, including "Slug Slingers", "Saving the Slugs", Slug Printables, "Virtual Slug" and the epic "Slug-a-thon"!